These valuable and useful links provide easy access to the Bay's conservation efforts, ways for you to help support the Bay, and other insightful information. The Chesapeake Bay Foundation (CBF) is the largest conservation organization dedicated solely to saving the Chesapeake Bay watershed. The Keith Campbell Foundation for the Environment promotes action to improve water quality, restore ecological balance, and foster an engaged citizenry within the watersheds of the Chesapeake Bay, Atlantic Coastal Bays and the West Coast. The University of Maryland Center for Environmental Science advances scientific knowledge of the environment and the Chesapeake Bay, developing new ideas to guide our state towards a more sustainable future. The Chesapeake Bay Program is a unique regional partnership involved the restoration of the Chesapeake Bay since 1983. The Trust is a private, nonprofit grantmaking organization created by the Maryland General Assembly in 1985 to promote public awareness and participation in the restoration and protection of the Chesapeake Bay and its Maryland tributaries. Town Creek Foundation seeks a healthy environment, an informed society, and a peaceful world. The Foundation is committed to achieving its mission through public education, citizen action, and advocacy. The mission of the MSC is to stimulate and cultivate awareness, interest, and understanding of science for all residents of and visitors to Maryland through excellent and exciting educational programs and exhibits, and to be a regional resource and a national model for science education. Maryland's leading tourist attraction, and an international icon, the Aquarium provides cultural, recreational, and educational experiences that meet the needs of diverse communities. The Chesapeake Bay Gateways Network connects you with the Chesapeake Bay and its rivers through 140 special parks, wildlife refuges, museums, sailing ships, historic communities, trails and more. Gateways are the special places where you can experience the authentic Chesapeake. The Annapolis Maritime Museum is dedicated to preserving and commemorating the maritime heritage of Annapolis and the neighboring waters of the Chesapeake Bay. The Chesapeake Bay Maritime Museum is dedicated to furthering an interest, understanding, and appreciation of the culture and maritime heritage of the Chesapeake Bay and its tributaries through collection, education, documentation, exhibition, research, and publication. 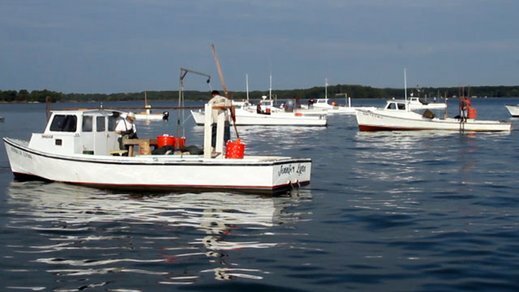 Whether you are a trailer boater, fisherman, cruiser, sailboater or a transient this site can supply you with all the information that you will need for a day cruise or an extended visit on The Chesapeake Bay. The Chesapeake Bay Bridge-Tunnel is surely a marvel of the modern world. The Chesapeake Chapter focuses on implementing the U.S. Lighthouse Society's goals in the Chesapeake Bay area, particularly with regard to the lighthouses and lightships of Virginia and Maryland.